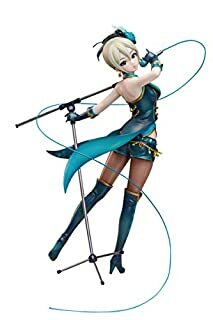 【海外の反応】第8回シンデレラガール総選挙が開催されたけどお前ら誰に投票した？　／　Who will you vote for in the 8th Cinderella Girl election? 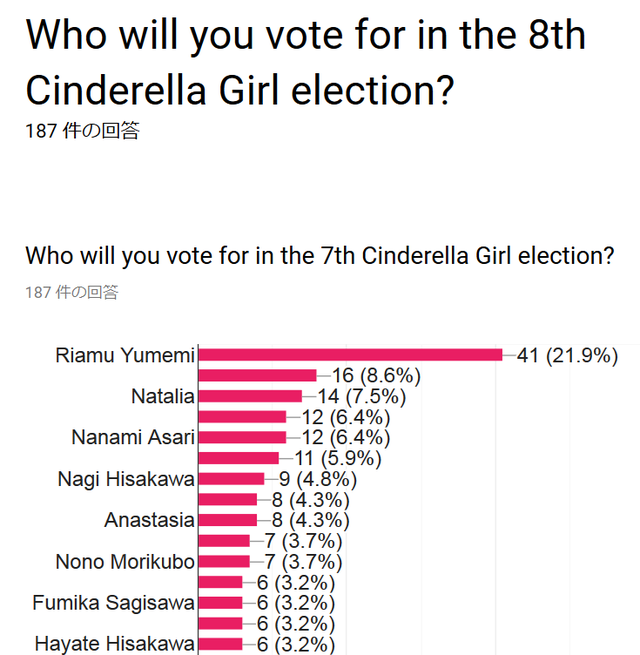 via:POLL: Who will you vote for in the 8th Cinderella Girl election? With the election officially starting in a few hours, I thought it'd be fun to have our own subreddit poll and see who everyone is voting for! Not really an useful method to gather data on the actual, final results, but still fun. Here's last year's results for reference. Good luck in the upcoming election, producers! りあむだ。むっちゃかわいいProbably Riamu, she's too cute ? Already gave 19 votes for Riamu on mobamas, and I only just started on the current event. I went back to playing it seriously just for the election. It's so easy to get a ton of tickets there. EDIT: 48 votes given now! 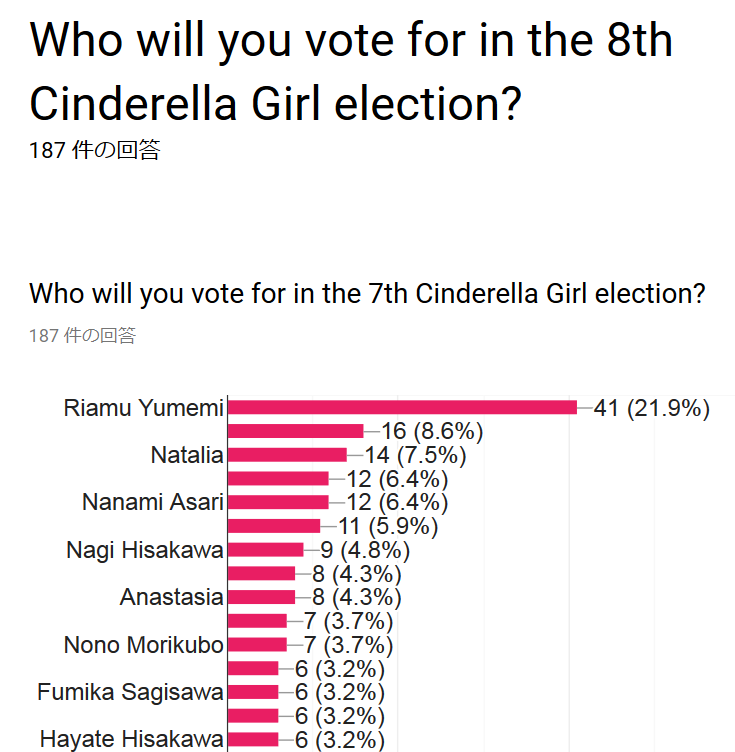 on another note, great to see so much riamu votes! 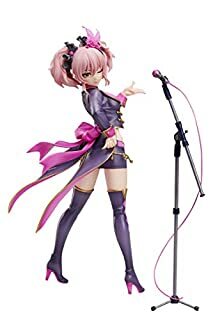 if sakura doesn’t rank high enough for a voice, i really hope y’all guys can at least make riamu be a voiced idol for this year. let’s make her break all the records! can’t vote for her, but I’ll be cheering for you all and for our new daughter. Chika! It might be a long shot to get her high up in the ranking, but I’m voting for her anyway. Hopefully being in U149 has helped to gain more fans for her. Everyone vote Eve Santaclaus. SHE NEEDS A VOICE! I'm voting for Chiyo mainly because I want her to be able to shine on her own, but might give a few votes to Kako again since she was good luck for my Cinfes pulls last year. 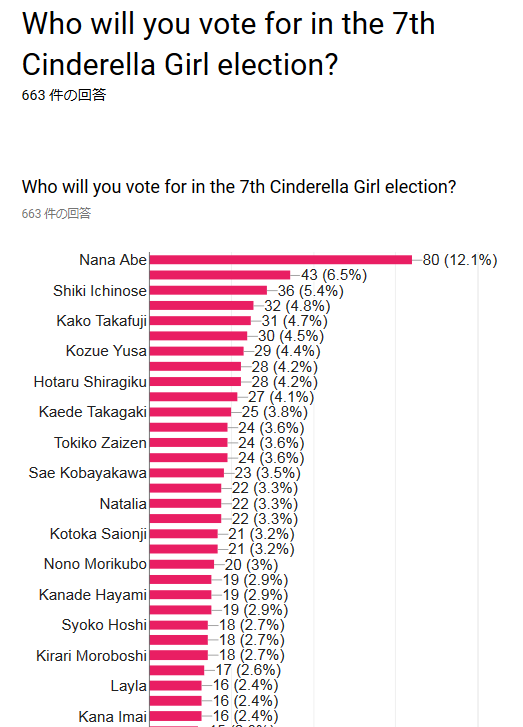 My votes on both Mio and Makino. 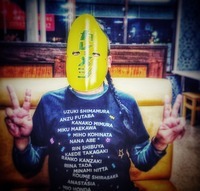 Fuka !!! 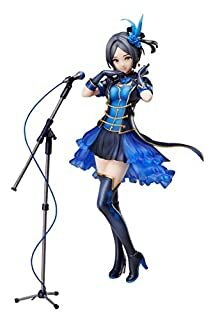 She's so adorable and underrated, just like last year I'll be putting all my tickets on her even though I realise she's probably not going to get voiced any time soon - she's one of my all time best girls and I'm happy to support her regardless! Mio!! I was really hoping last election would be hers, but of course producers can’t resist a good pun. Riamu I’m sure will get her voice regardless so I want to help Mio finally get her crown! Saori!! I hope she can rank this year!! Please support her! maybe Ranko since if she's in top 5 she can be in another new group song? Ganbare Reina fans! Let’s try again! I'm going all in for Nanami again this time around! She is too perfect to not have a voice, and with her placement last election and her April Fools CM this year, I have even more hope that she will perform even better! Kozue! 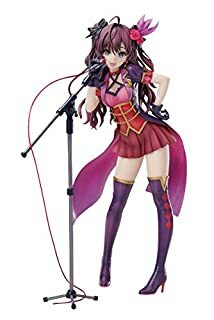 But I want to get the voice Yukimi and Risa. They are top of unvoiced idles in there type at 7th election. A sad day. I'm currently the only producer voting for Honami. Please consider her! I just want her to place in the top 50 to get her enough recognition and popularity to warrant an SSR! SHE HAS A VOICE THAT CAN SHATTER GLASS? IS INTO THEATER??? WHy wouldn't we stan her??? 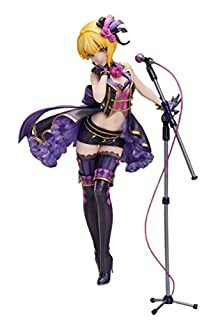 If she got voiced i'm sure it would be a powerful primadonna like voice to rival Kaede and Tomoe. Please consider even casting a single vote for her! I'm already campaigning hard for her on social media lol.